Most vehicles which compete in SuperSprint events are built primarily for road use. Those built primarily or exclusively for competition purposes, are a smaller but significant proportion of SuperSprint fields. 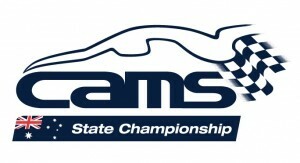 The regulations developed for the VSSC allow ‘Road Cars’ to compete with ‘Race Cars’ for Outright and Class Trophies. Everything from the ‘daily driver’ through to the dedicated Race Car is eligible for a trophy in this event. 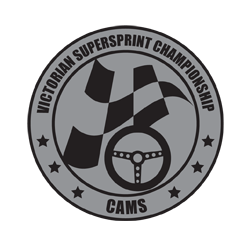 The VSSC was created by the CAMS Victorian Speed Events Advisory Panel [VSEAP] at the request of CAMS. The members of the VSEAP come from a cross-section of Victorian Car Clubs that regularly conduct track days or Supersprints at the permanent Victorian circuits.. 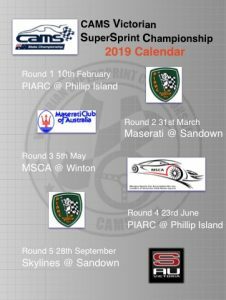 The spur for this was the successful conduct of the 2nd Australian SuperSprint Championship at Phillip Island in November, 2009 – the first being held at the Eastern Creek circuit in November, 2008. This Australian National Championship rotates yearly between the States.